Do you enjoy sewing the binding on your quilts?? That is one part of quilting that I really don't enjoy. It seems to take so long to cut the binding, press, sew it onto the quilt, and then hand sew it down. When we were doing a lot of charity quilts, I found that bringing the backing fabric over to the front side of the quilt was a great way to cut down on the time invested in finishing the quilt. Now I don't want to re-invent the wheel, but I thought I would just show you how I do it. I thought I would take you on a little tour of our mobile cottage, now that I've been getting it ready to roll. Enjoying the summer with the "real thing" and a spot on the porch. My friend Kelly jackson is having a Blue Light Special in her shop I Have A Notion. Every day she is adding more items to her Christmas in July sale. $4.00 books and up to 80% off on notions! And a fabulous giveaway is happening over at Quilts From My Crayon Box. Michele is hosting a giveaway from the Classic Metal Company. Today marks a special day for our family. My hubbys Dad turns 95 today!! Certainly a day for celebrating!! My father in law has maintained good health. He still bowls once a week and enjoys catching fish off his dock. Our family is blessed to still enjoy his dry humor. We all love him and he certainly loves his 5 children, 9 grandchildren and 15 great grandchildren. I hope this is a day of celebrating for you too! There's a Blog Hop happening this week and you might like to hop on the Blog train. 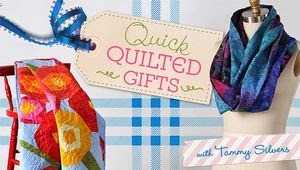 Tammy Silvers of Tamarinis, is launching a new Craftsy Class called "Quick Quilted Gifts. Island Batik is starting off the week with a give away. Five, one yard cuts of their awesome fabrics. Here is the list of bloggers participating in the hop. July 11 – Freemotion by the River – Stop #2! I hope everyone enjoyed their July 4th holiday. Canada celebrated Canada Day on July 1st. And the winner of the Island Batik fabrics happens to be one of my Canadian readers. Congratulations to Pauline Perry (no blog). Please send me your mailing info asap. If I do not hear back in 72 hours, I will need to draw a new winner. 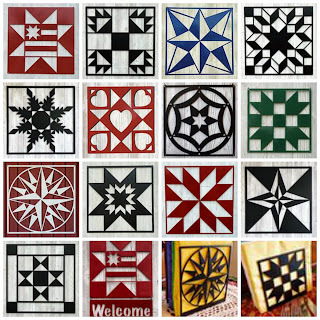 Everyone enjoy a day of Happy Quilting! THEY HAVE DEPARTED THIS RED WHITE & BLUE STRIPPED LAND TO FIGHT A FIGHT FORFREEDOM'S RIGHTS. PAID THE FINAL COST SO THAT FREEDOM TRUTH WOULD NOT BE LOST. 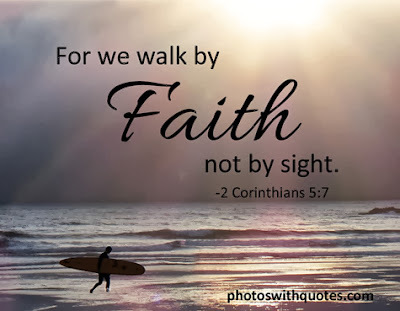 WHO SERVE EACH AND EVERY DAY TO PROTECT US FROM ALL HARM. OUR APPRECIATION AND MANY THANKS TO EACH AND EVERYONE OF YOU! !